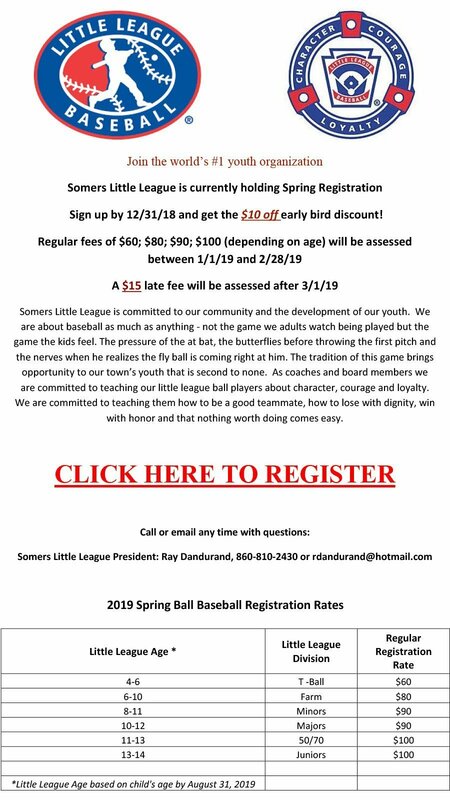 Somers Little League is committed to our community and the development of our youth. We are about baseball as much as anything - not the game we adults watch being played but the game the kids feel. The pressure of the at bat, the butterflies before throwing the first pitch and the nerves when he realizes the fly ball is coming right at him. The tradition of this game brings opportunity to our towns youth that is second to none. As coaches and board members we are committed to teaching our little league ball players about character, courage and loyalty. We are committed to teaching them how to be a good teammate, how to lose with dignity, win with honor and that nothing worth doing comes easy.